Interstate Pump maintains a large and modern repair facility in Salem, Ohio stocking parts for many popular pump and filter lines. We offer complete repair service for all makes of pumps and filters. Our repair procedure is an Expert Five-Step Repair Process to ensure your pump is thoroughly repaired and ready for use! Contact us today for an assessment of your pump’s repair needs. We begin with a thorough inspection and disassembly of the pump to diagnose the needed repairs. 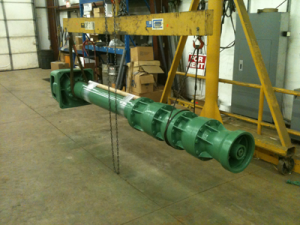 Before repairing, a complete cleaning takes place to begin the transformation into a restored pump. Our expert staff ensures the repairs are done correctly and within a timely manner. Once the pump is restored, it is assembled back to full working order. Before shipping the pump back to you, we repaint to ensure the pump will not only fully operate as expected, but look new as well.